Stand out from the crowd in this lit bodysuit. 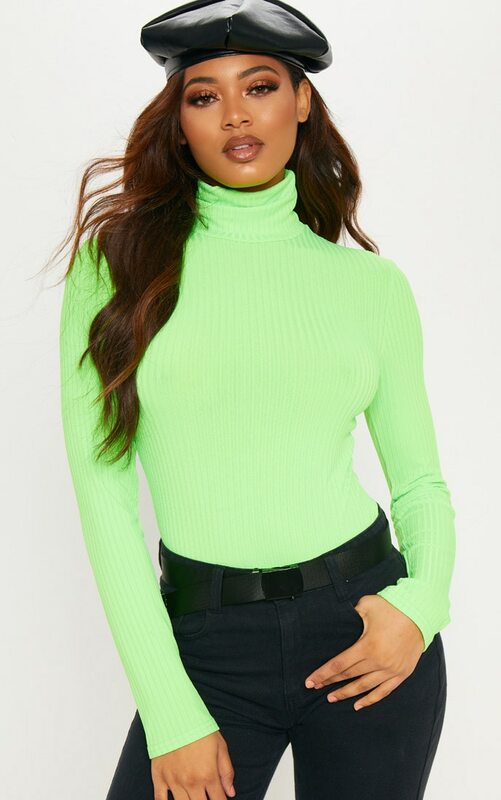 Featuring ribbed fabric and high neck in neon green. We love this teamed with cropped jeans and biker boots for a rock chick look.